Patna: A city-based established neurosurgeon has recently lodged an FIR with the Patliputra Police Station after he got an extortion call. The doctor was threatened to face dire consequences if he failed to pay the extortion amount. 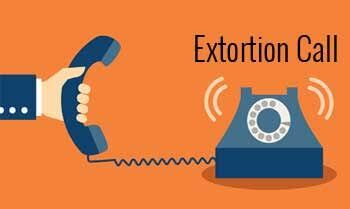 Dr SM Rohatgi, who has his own clinic in the area, received an extortion call on his private cellphone on 20th August, in which the unidentified caller demanded Rs 4 crore from him. “Bahut kama rahe ho… Rs 4 crore dena hoga (You are earning too much. You would have to give Rs 4 crore extortion). These are the only things the caller said and disconnected the phone saying that he would ring back in ten minutes. However he did not ring again,” Rohtagi informed TOI. Following the call, the doctor registered a complaint at Patliputra police station in the evening. “We are taking technical assistance from various sources to ascertain the location from where the call originated,” the SSP told the media and added police patrol had been intensified around the doctor’s residence and hospital. According to certain media sources, the call was either made from Nepal or someone might have used a Nepalese SIM card from anywhere in India to make the call to the doctor to evade tracking by police. The police have given the number to its IT cell to find out the exact location of the caller. “Only after getting details of call detail record (CDR) and tower location of the caller at the time of call, police would be able to get further lead in the investigation to nab the accused persons,” an officer said. unfortunate thing but this neurosurgeon has been night mares to his colleagues.4 crore extortion call!!! just think of his earning.